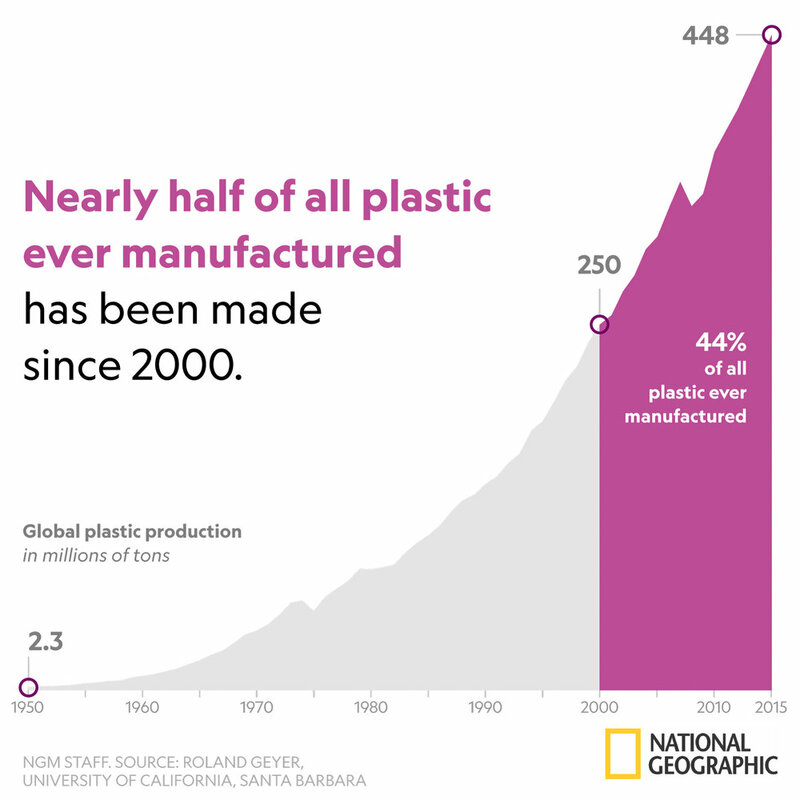 TODAY National Geographic is launching Planet or Plastic?, a multiyear initiative aimed at raising awareness of this challenge and reducing the amount of single-use plastic that enters in the world's oceans. Doing so will not only benefit the thousands to potentially millions of marine animals that become entangled in, suffocated by, or ingest plastic each year, but will also contribute to the overall health of the planet’s marine ecosystems and all who rely upon them. Today's launch is tied to the release of the June issue of National Geographic magazine, which takes an in-depth look at the role single-use plastics play in our society and the impact they are having on our environment. Starting with this issue, National Geographic announced that it will begin wrapping the U.S., U.K. and India subscriber editions of the magazine in paper instead of plastic, with the goal of wrapping all global editions in paper by the end of 2019. 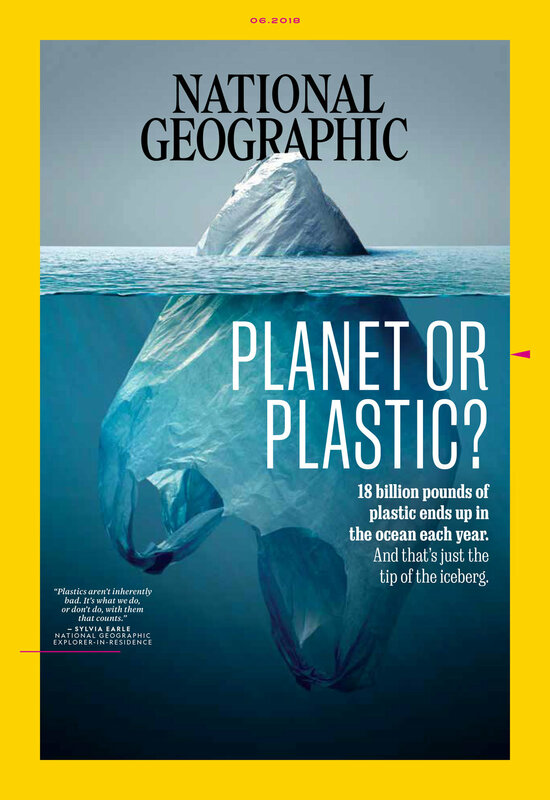 The June issue is available online at natgeo.com/planetorplastic on May 16 and on print newsstands on May 29. THREE-DAY SOCIAL TAKEOVER: National Geographic will use the power and reach of its platforms to educate people about the impact of single-use plastic and to encourage them to take the pledge. For the next three days, National Geographic will “pollute” its Instagram feed, @natgeo, with photos of the plastics crisis as well as animated Instagram stories to highlight the true impact of humanity’s pollution of the natural world. Today, @natgeo will feature photos taken by photographer Randy Olson, who traveled around the world to document the plastics crisis and is featured in the June issue of the magazine. On Thursday, May 17, actress and singer Zooey Deschanel (“New Girl,” She & Him), co-founder of The Farm Project, which recently commissioned the series, Your Food’s Roots, will curate National Geographic’s Instagram account, posting photos of the plastic crisis. On Friday, May 18, National Geographic’s photographers will be posting their own photos of the crisis. Also on Friday, Kathryn Kellogg, a writer and public speaker who lives a “zero-waste” lifestyle and focuses on the dangers of plastic pollution, will host a Reddit AMA (Ask Me Anything) about small, actionable eco-friendly steps that people can take in their everyday lives. Kellogg, who is featured in the June issue of National Geographic, has fit all of the trash that she has generated at home in the last two years into a 16-ounce jar. "For 130 years, National Geographic has documented the stories of our planet, providing audiences around the world with a window into the earth’s breathtaking beauty as well as to the threats it faces," said Gary E. Knell, CEO of National Geographic Partners. "Each and every day, our explorers, researchers and photographers in the field witness firsthand the devastating impact of single-use plastic on our oceans, and the situation is becoming increasingly dire. Through the Planet or Plastic? initiative, we will share the stories of this growing crisis, work to address it through the latest science and research, and educate audiences around the world about how to eliminate single-use plastics and prevent them from making their way into our oceans." Added Jonathan Baillie, the National Geographic Society’s chief scientist and senior vice president, science and exploration: "By harnessing National Geographic’s scientific expertise, we intend to pinpoint activities on land, particularly near rivers, that contribute to the flow of plastics polluting our oceans — and then use what we learn to inspire change at home and around the world. A crisis of this enormity requires solutions at scale, and National Geographic is uniquely qualified to amass the best in research, technology, education and storytelling to effect meaningful change." Follow Plastic Pollution Coalition on Facebook, Twitter, and Instagram.